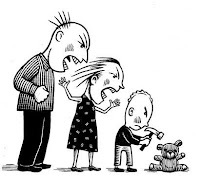 Misbehavior, rule breaking and/or tantrums are an inevitable part of growing up. Sometimes it is an attempt (by the child) at gaining control; an attempt at mastery. Other times it is an experiment of "what will mama/baba do". This can be intentional, as we can see from the video below, or not. 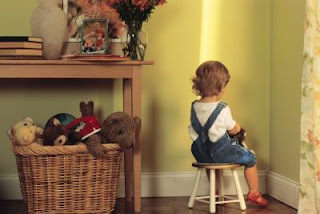 This post is targeting intentional and repetitive attempts by your child to misbehave. With teenagers it is no different. They may not lie down on the floor and scream, but they still seek attention, experiment with breaking the rules, and seek ways of expressing that they have grown, and that rules may need to change. This might be a time when renegotiating the rules is helpful. As aforementioned in the previous post, structure and discipline are necessary. Discipline is not just about rewards, nor is it only about punishments. We need to start with having a set of rules and guidelines for our children to follow, we then need to be role models. For younger children these rules have to be short and clear; and we need to keep a reminder of these rules. We should remember to use positive reinforcement when our children are doing well. When they are not, we give chances (or warnings) to allow them to correct their mistakes. If our child is being stubborn, we use punishments, or as I would rather say, consequences to teach them discipline. (I will use punishment in this post because it is more familiar and recognizable). Punishments, like rewards, need to be immediate. (i.e. Do not punish a behavior exhibited at the beginning of the week, by taking away something on the weekend). This can be an exception with teenagers, who are able to wait and you may postpone a punishment. Punishments need to be short. Elongating punishment will only decrease its effectiveness. (i.e. take away the game for an hour instead of a week). Punishments need to be age-appropriate. (i.e. Time-out for younger kids vs taking away privileges for older children). Please use the term "thinking chair" instead of "naughty chair". Remember we are trying to promote positive thinking and behavior. Talk to your child not at your child. Try to kneel down and maintain eye contact. Clarify that you are punishing the behavior and not the child. Show your child love even in those tough moments. For educational, safety and emotional reasons I will have to mention that I am adamantly against corporal punishment (physical punishment). This is always a sensitive topic, especially in this part of the world. As the cartoon below shows, it only teaches the child to be aggressive, and to avoid an act out of fear, and not conviction). This video might make you laugh, break your heart, or allow you to sigh and say "yippee! Its not only my boy who does that!"... It does, however, show us that intentional and manipulative behavior starts at a very young age.